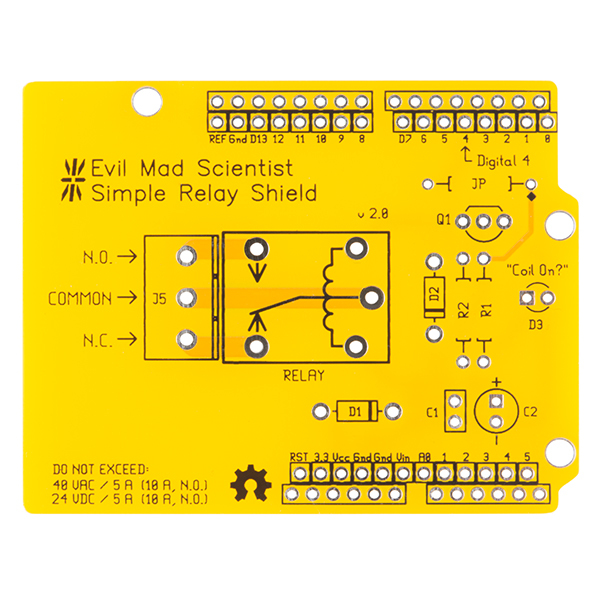 This Relay Shield v2.0 from Evil Mad Scientist is a simple Arduino add-on that gives your Arduino the ability to control a single electromechanical relay for switching loads of up to 24VDC or 40VAC. 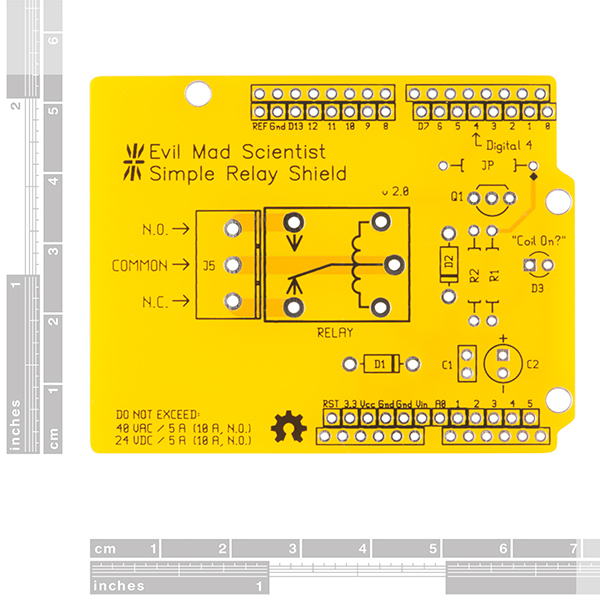 Each Relay Shield comes equipped with a single pole – double throw (SPDT) sealed relay which can handle a current load of up to 5A. 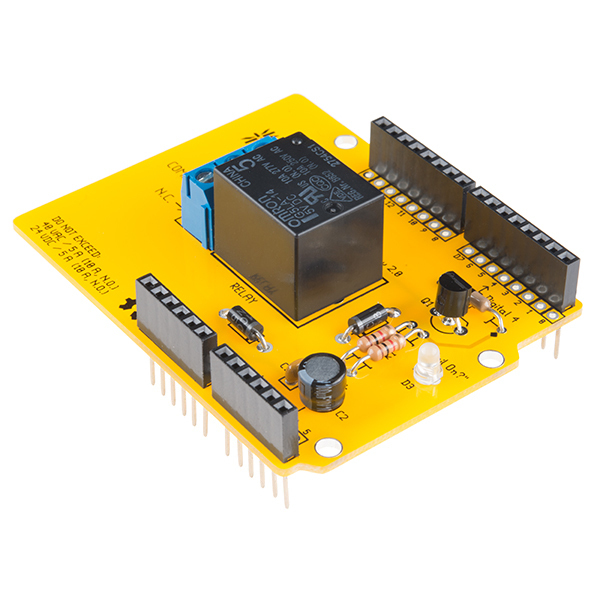 This means that when current is applied to the coil it throws a simple changeover switch, terminating the connection from the NC (Normally Closed) contact to ground and closing the NO (Normally Open) contact. 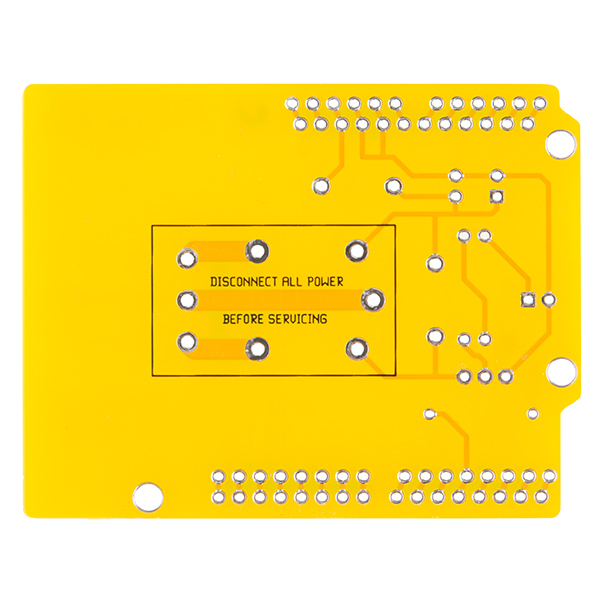 Use them to switch high voltage/high current devices. 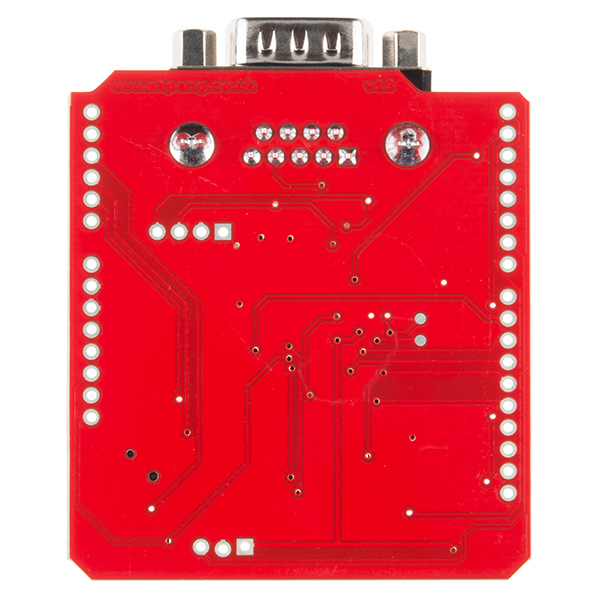 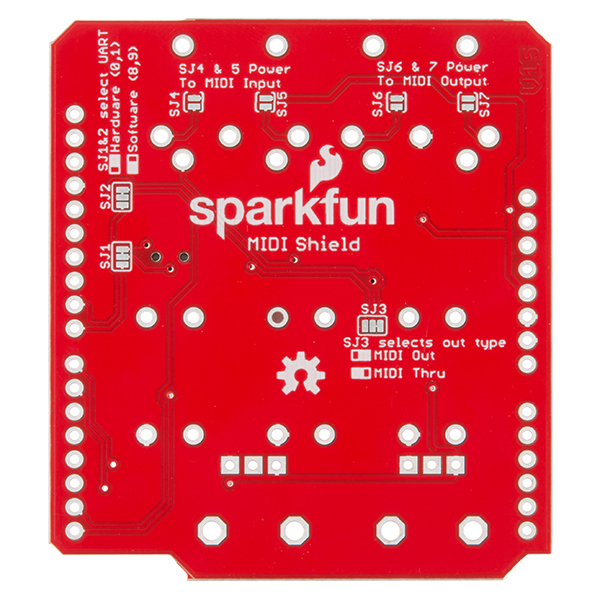 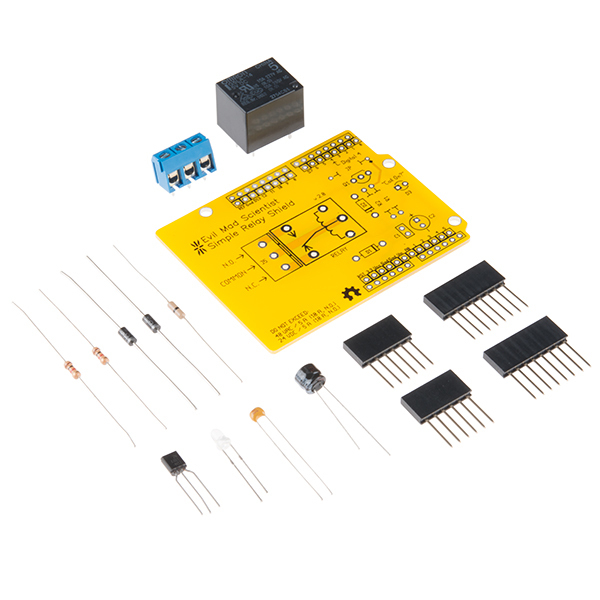 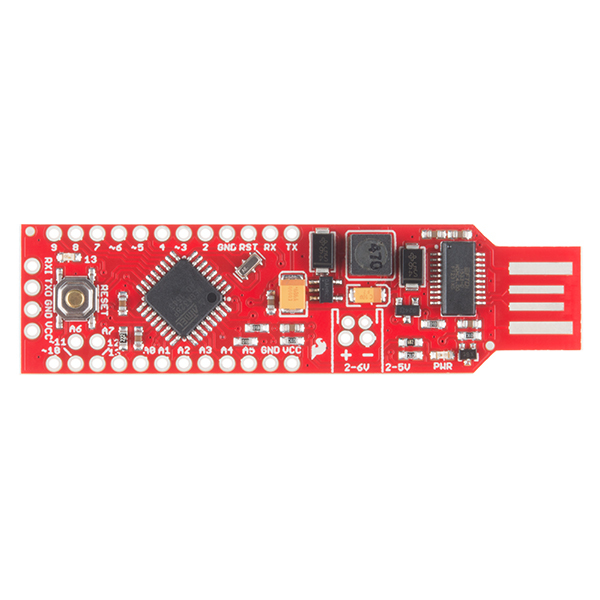 As this is a shield, it is powered straight from the 5V power supplied by your Arduino, simply slide it into your Arduino or shield-compatible board (like the RedBoard) and you will be good to go!